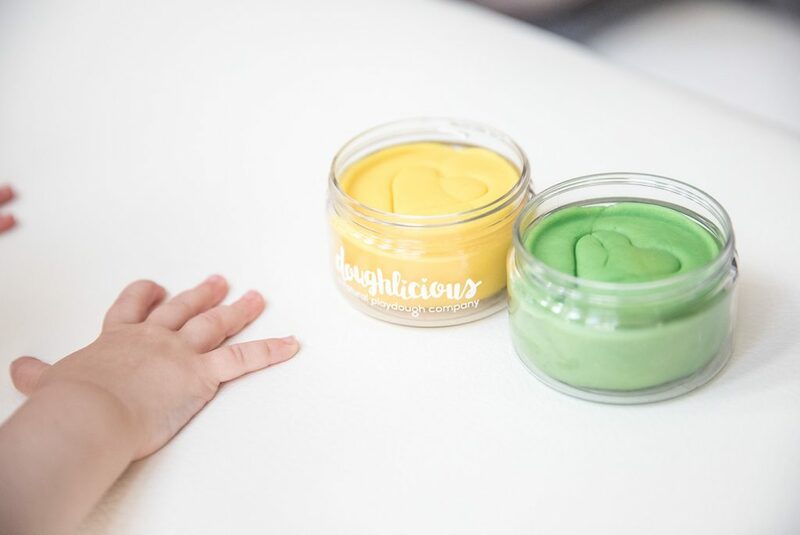 When my little girl got her hands on Doughlicious playdough, I could see the joy and happiness radiating all over her face. She was tentative at first, but the more she manipulated it the more she opened up to the squishy texture. We have been discussing seasons and learning about their differences. We thought the vibrant yellow and green would make the perfect Spring scene. It wasn’t long before she was shouting out “flower” and “bee” at the sight of my husband and my creations. She even helped make the leaves on the flower and the stem! We loved Doughlicious! Not only does it open up opportunities for creativity and imagination, but also allows it to be an educational tool! My daughter couldn’t get enough and I was so surprised she didn’t try to eat it because it smelled so good! We highly recommend this product! See below for our review :)! 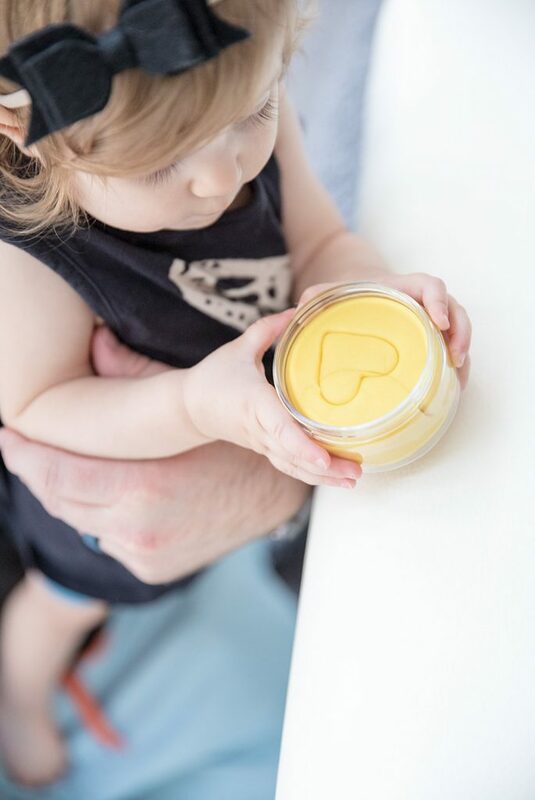 Play dough is crafted from NATURAL & NON TOXIC ingredients: Organic extra virgin coconut oil, 100% plant based NON-GMO dyes (no sythenic dyes), cream of tarter, purified water, salt, 100% pure essential oils & all natural flavor oils. 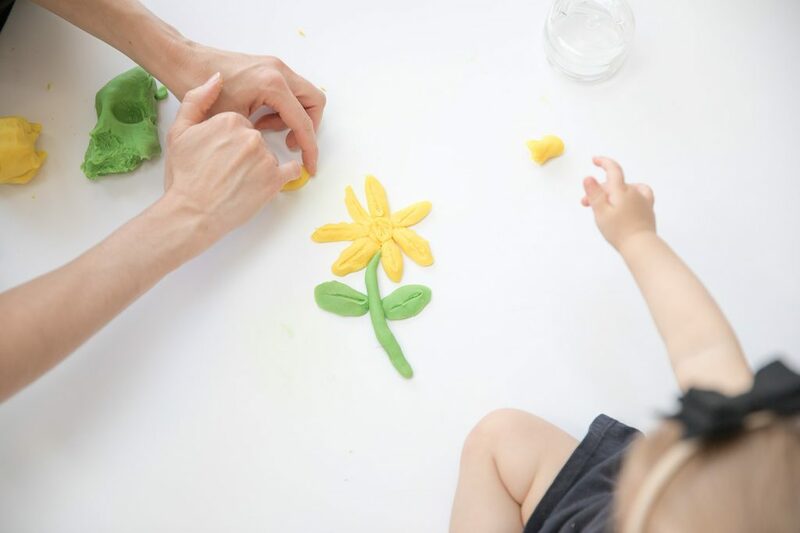 What are your kids favorite sensory activities?